← Mosaic Quilt Top Completed! 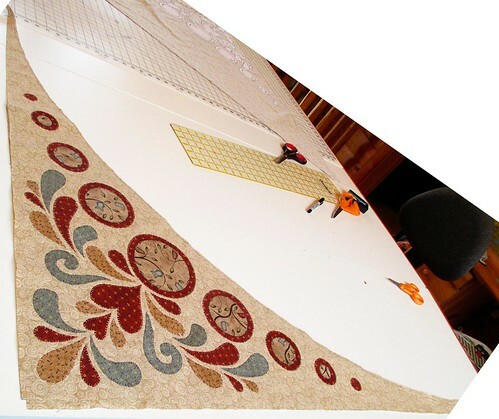 The October and November installments for The Quilt Show Block-of-the-Month quilt, “Sedona Star,” are the corner appliques that are added to take the quilt top from a circle to a square. I have completed all four corners. 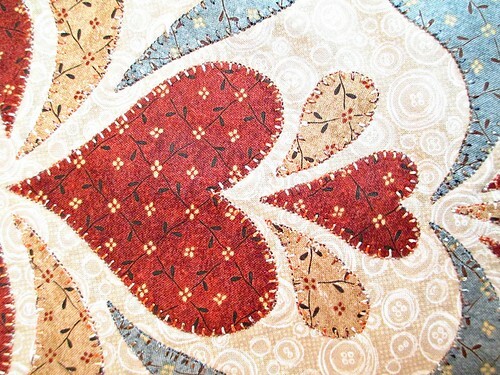 I will post a picture after I add the corner appliques to the center circle. This should be tomorrow if we have enough light. This is beautiful and from the loft could be an antique rug! 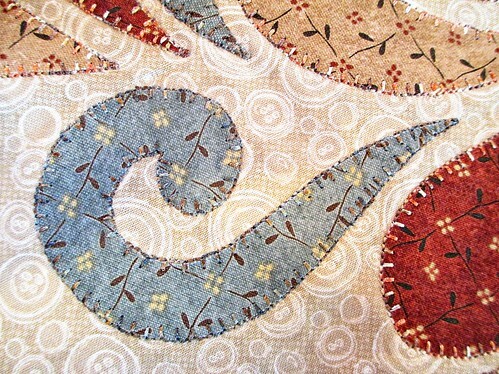 Is the applique done raw or are the edges turned? Is is hand or machined? 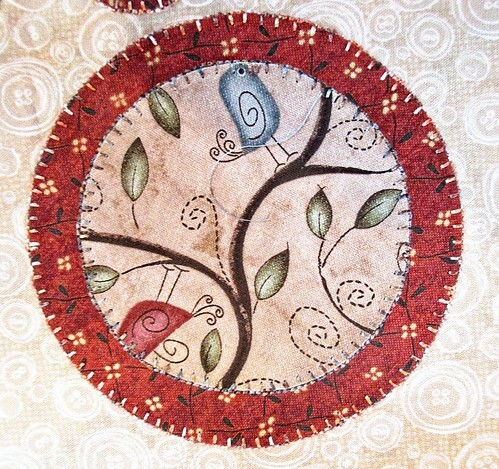 The appliques are fused with light weight Heat and Bond, then machine appliqued with a narrow three-step blanket stitch using Superior’s Rainbows thread.